Well he/she is essentially treated as a Mary Sue in Fates, is an avatar character, and can turn into a dragon, so that pretty much sums up what I would put in my OC. Nothing against the actual character (I actually play them quite often), but I don’t need an OC when I already got a character that matches pretty closely with my optimal OC. keeps a personal notebook containing every quote all the other smashers say that could be taken out-of-context as a sexual innuendo. He does this because, when he, Dr. Light or Roll are feeling down, they like to go back and read through the quotes for a laugh. He has a self-imposed rule to limit how many quotes he takes from , , , both M! or F! , , , , , , or the s, as all of the above parties either seem to always make them on purpose, or in Shulk's case, because he knows that Mega Man keeps track of those and makes them intentional whenever the Blue Bomber is within earshot. I'm not sure I follow. How exactly is an imaginary character being badly-written "disgusting"? Crazy Hand made and sing "Christmas Shoes" without knowing about it. When found out that was singing as the child, he stopped singing and ran off the stage screaming FALCON PUNCH!, followed by most of the cast. Crazy Hand was later found beat up in a alley way that seemed pretty crowded earlier, with and last seen leaving it. went back after everybody else left, with a home run bat in hand. Rundown of the whole pageant. - introduces the audience with "Sleigh Ride", which leads a bark and quack version of "Jingle Bells" performed . -Next was singing "Winter Wonderland". - originally was planned to sing "Snoopy's Christmas", but Master Hand wanted him to ing "I'll Be Home For Christmas". decided to sing "I'll Be Home For Christmas" right afterward as a compromise. - sang "Santa Baby", despite the unsuccessfully sabotages by . - awkwardly sang "Hark the Heralds Angels Sing", because was supposed to sing with him. -Following that was singing "Silent Night"
- and sang "Away In A Manger"
- and sing "We Three Kings"
- sings "The First Noel" followed by singing "God Rest You Merry Gentlemen". Why you gotta ignore my boi? How can you deny his dulcet tones?!!! Not many songs have a lyrical composition of primarily "Yoshi" repeated throughout. After WoL, some characters that were spirits came to visit Smash City every so often, some even applying to be considered for the Newcomer Fighter Pass, such as Bandana Dee, Black Shadow, Octoling, Elma, and Mecha-Fiora (seeing Chrom participate and still also be in Robin’s final smash gave her an idea). On some occasions, some Smashers have seen fighters they’ve never seen before sign up for consideration, like a young purple-clad, spiky orange haired boy with headphones from the city of Shibuya, and a blue-haired female android. Mecha-Fiora often visits Shulk, and is Lucina’s best friend from the time the two along with Ryu, Ken, Chrom and KOS-MOS investigated the Golden Chains incident (Project X Zone 2 reference). The two girls hang out whenever they can, and sometimes bring Zelda along. Bandana Dee often says hi to Kirby and King Dedede. Dee and Kirby sometimes have cake eating competitions. The Octolings and Inklings get along surprisingly well. - and protect from since he tried to get close to before. - and get along rather well, despite 's teasing that he walks around naked. - and don't get along well, they and their alts are fighting it's getting on everyone's nerves. - is relishing the day gets into Smash, so he can eat him and get rid of the annoyance. - A party led by is gonna celebrate getting into Smash. Joke characters unite. You forgot that Shulk is also a scientific type. He's a friggin' engineer. has been teaching how to be a Pokemon trainer. Mac think it's a nice little hobby but he's not super serious about it. sometimes puts on his red and blue overalls and cap and goes around telling people he's "that stupid plumber Mario" while playing mean pranks on him. A few of the people that don't know Mario that well fall for it. Also Bowser couldn't tell the difference between them if they were standing next to each other. doesn't call Joker by his name. He refers to him as "Space Cowboy,", "Maurice", and occassionally "the Gangster of love". sometimes transforms into a panther just to play with because she appreciates how he entertains the kids. appreciates this immensely (too many canines, too little felines). was the winner of the first Smash tourney. He lost the first round of Melee so he could go looking for food instead. All of the newcomers were carefully picked by the original eight . . . except for and , who barged in without warning and snarled at anyone who dared to challenge their positions. is still trying to find a good opprotunity to get rid of them. , , and are good friends. As the first three newcomers of Smash 4, they were selected to train most of Ultimate's newcomers. and had an intense rivalry during the Brawl days. They're cool with each other now. killed Fire Mario to get in the roster. How else do you think it was allowed? It explains where the Fire Mario Alt went too. Will add more headcannon when I think of more. Sonic has a habit of muttering things under his breath, mainly when he’s in a situation that makes him nervous. I forgot to include what happened after the intermission though. After everybody destroyed Crazy Hand ( and really didn't hold back compared to everybody else), the show resumed with "Do You Hear What I Hear?" done by and both . then did a version of the nutcracker theme. and then preformed "Up on the Rooftop." sang "Santa Claus Is Coming To Town"
sang a unique version of "Rudolph the Red Nosed Reindeer", but changed it to Deerling. Most people didn't think this version had the same rythme to it. then sang "All I Want From Christmas is You", and she pulled onto the stage during it, confusing him. Right after, shoved the both of them onto the front row, (intentionally aiming for Isaac and Shadow. Did I mention Assist Trophies got front row to the show?) singing "You're a Mean One Mr. Grinch." then sang "Mommy Kissing Santa Claus" with (F) and dressed as Santa. came into the middle of the song, probably thinking Chrom was trying to steal his gig. In order to stop the fight (or to take advantage of the chaos), dragged onto stage to sing "Baby, It's Cold Outside" an act early. Because of this, people got confused where both was singing "Blue Christmas" and was singing "Grandma Got Ran Over By A Reindeer" over each other. and humbly asked Master Hand to hold back on Kirby newcomers in secret so other series could get the representation they wanted and they could be patient. A kind move. They did so with a "The first shall be last, and the last, first" attitude. Some smashers stayed in their apartments, some went out all day. Rosalina took Ness, Lucas, Paula, Jeff, Young and Toon Links, the Ice Climbers, Pokémon Trainer, Lip, Ashley, and Lin Lee Koo to watch the fireworks atop the hill overlooking Smash City. Mewtwo, Pichu and Greninja were in charge of setting up the ball, while Lucario and Incineroar were in charge of fireworks. It took all of Lucario’s efforts to stop Incineroar from wanting to light them too early. The villains, which consisted of Ganondorf, Wolf, Dark Samus, and Ridley (since Bowser, Wario and K. Rool were at the concert) stayed in, and invited Shadow the Hedgehog, Black Knight, and Black Shadow along to talk about their villainous New Years resolutions. Shadow, Wolf and Black Knight eventually got bored though and bailed early. Shulk stayed home and decided to stream a game on a user run game streaming service after Snake suggested he open a channel. He played some multiplayer games, and his girlfriend, Mecha-Fiora, co commentated over the Chaos messaging and VoIP program Sonic wrote, which got Sonic so many sponsorships he was able to invite Joker. Most of the other Assist Trophies, along with Dunban, Kumatora, Viridi, Alfonso and Captain Toad decided to hang out by the public pool. Chef Kawasaki catered the event, of course. Kirby, Bandana Dee and King Dedede held a New Year’s event on Smash News Network, with Meta Knight in charge of subtitles. Dr. Mario stayed at his hospital, in case anyone got hurt. He offered the Duck Hunt duo, Mr. Game & Watch and Jigglypuff to keep him company too, so he wouldn’t get too lonely. Only person who ended up at the hospital was Cloud, who received minor injuries following a bike incident. Sadly, Cloud ended up staying the night, which sank his spirits a bit. Joker, the latest addition to Smash city, decided to visit, however, and chatted with Cloud to lift his spirits. On the other side of Smash City was the banquet hall, where a more lavish indoors party was held. Ken was the DJ, Simon was the bartender, and Ryu was in charge of lighting, since he claimed he doesn’t dance. The party started with Roy, Ike, Link, Sheik, Richter, Rex, Reyn, Melia, Azura, Nia, Zeke, Karate Joe, the Chorus Kids, Shantae, Pyra, Tora, Riki and Tatsu cutting it loose on the dance floor, with the three Nopon having a Dancepon dance-off. Tatsu won. Meanwhile, Zelda and Lucina were picking out dresses for their double date at the indoors party. Since Lucina had no fashion sense, Zelda picked a dress for her. When the two arrived at the party, Zelda was a bit surprised to see Link dancing with Sheik, who was Zelda from Link’s own timeline. Needless to say, the rest of the night was pretty awkward for Link. It just so happened to be 10 till midnight, and noticing the atmosphere changing, Ken decided to change the tune to a slow dance. Link was still in an awkward position, switching between Zelda and Sheik every so often, but Rex and Pyra hit it off, even though Rex was a bit clumsy. Lucina and Falcon, however, were getting into it the most, embracing when the countdown began, and sharing a passionate kiss when everyone shouted “HAPPY NEW YEAR!” Everyone’s attention then shifted to the couple as they cheered them on. Remember when I said that I'd do Christmas and New Years party headcanons at some point? I couldn't come up with anything for a Holiday Party headcanon, so I'm going just skip to New Years. Once again, Master Hand and Crazy Hand hosted the party, this time the party was held in a rather unorthodox place. Rather then taking place in the neutral territory or at one of the various parts of the Super Smash Bros. Universe, Master Hand instead opened a portal to a replica of the Deus Ex universe and hosted the party inside the Apex Centre from Mankind Divided. Adam Jensen, J.C. Denton, and Alex Denton were thus all invited to the party as honorary hosts. The reason this location was chosen was so the overlook windows could be used to get a bird's eye view of times square. Master Hand didn't bother with catering this time for a number of reasons, but he did order a couple pizzas and some soda for the kids, and like, 2 or 3 bottles of champagne for everyone else. and Jeanne pretty much hijacked the sound system and replaced the techno music with smooth jazz, though they threw some Bob Marley into the playlist to keep happy. , , , , , , , , , , , , , , , , , , , F! , M! , and the s pretty much spent the entire party downstairs where Crazy Hand set up an arcade and lazer tag arena, the latter of which the Inklings ironically didn't care much for, because they were much more used to how their terf wars weapons functioned. As a result, the Inklings relegated themselves as poison control to make sure neither nor the Deus Ex-native villains were putting anything in anyone's food or drinks. and were all uncharacteristically dead silent towards eachother the entire party, not even exchanging snide insults like they usually do at these kinds of get-togethers. This unnatural calm was extremely unsettling to Master Hand, causing him to fear that they were planning something to make him look bad in front of the Deus Ex characters. The Deus Ex characters didn't really know anyone here and weren't sure quite what to make of the party, but J.C. Denton and Alex Denton spent the whole time scowling at eachother while Adam Jensen chatted with , and . and Camilla spent the whole party in the broom closet with the windows the lights out and the doors locked from the inside. This displeased and immensely, since it was the one of the only parts of the building that the Deus Ex characters couldn't hack their way into (it used a conventional lock and deadbolt instead of electronic ones). and were looking over one of the poisoned drinks under a microscope in awe at the size of this lad. absolute unit. with looking over their shoulder waiting for them to explain to him just what exactly was so damn exciting about a poisoned drink. , , , F! , M! , F! and M! were the party's designated poison-checkers, throwing out anything that may have been messed around with. Most of the Zelda characters left early, complaining that the party being set in a non-series-neutral-territory was causing Hylia & Demise to give them all particularly nasty migraines. Strangely enough, this didn't improve the Star Fox crew's unusually sour mood at all. , , , and spent most of the party trying to help a reluctant out of his tax troubles. , , and left early because someone "let it slip" to them that there was a massive warehouse full of food left unsupervised in Shadow Moses Island. Turns out the warehouse was heavily guarded by FOXHOUND, but that wasn't going to stop one of the most terrifying and powerful creatures in existence and a couple friends of his from getting their hands on an entire warehouse full of delicious food. and were ****posting on smashboards twitter throughout the evening. hung out on the roof and watched the city skyline while listening to a podcast about a bunch of nerds talking over a batman game. spent the evening playing FFA Risk with Professor X and Magneto over skype. and Viridi opted to hang out with , Jeanne, Joker, , , , and in a little lounge alcove they discovered where the music wouldn't be drowned out by the party. was not invited for obvious reasons. F! and Tharja left early because Master Hand was getting particularly noisy about his displeasure towards Tharja, and F!Robin was getting absolutely sick of hearing about it. M! and wandered about the place looking for a library, but all they could find was a dead cyborg and some very impolite young men in golden masks. and were busy at the Street Fighter New Years' Party. Over the course of the party, died of Orchid poisoning several times, with and laughing behind their back every time it happened. and Fiora hung out on the roof to do some stargazing. Needless to say, the party then ended shortly afterward, but at least watching Master Hand's faith in humanity die right before their eyes was a good laugh for the rest of the cast and a fitting note to end on. Yes, Sonic knows how to program. Mega Man taught him a bit, and he first got interested upon learning of the Saturn’s tough encryption (fun fact it took TWENTY YEARS for a Saturn Emulator to be developed). has made it her personal goal to have as many people keep their resolutions as possible. And she already gave up on and . was the only one out of them to make a resolution (it was to not get into other people's relationship life) when they tried to make kiss Virdi after midnight. Last part makes sense, chaos is a feminine force in a lot of myths, after all. Has the game clarified Galeem/Darkhon's pronouns? I'm gonna assume Darkhon is a she simply because of the whole Yin/Yang thing going on. back in his Melee days as , was a feisty upstart that was always looking to assert his dominance in the Smash Mansion by starting fights with the other Smashers, mainly and . After the events of the SSE he grew more humble and ending up apologizing to the rest of cast for his past behavior. By the time of the Sm4sh tourney, he'd grown into the role of a respected veteran that helped newcomers find their groove in Smash. The reason was in the first Smash Game was because she'd hitched a ride as a stowaway with and without them knowing. herself belongs to , and when she heard about this great tourney that both of the plumbers were invited to, she decided she'd jump into the teleporter with them at the last second as they were transported to the tourney. 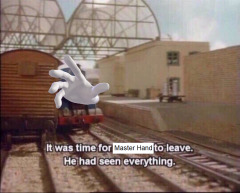 Master Hand didn't think it was worth the fuss of sending her back to the Mushroom Kingdom when they found her so participated and has been around ever since. are different versions of the Link. Zelda, Sheik and Ganondorf from Brawl and 4, but retain all the memories of the previous versions. Link has the same personality of the Link before him. Sheik has mostly the same personality, but since she’s Zelda from this Link’s timeline, she feels closer to him than before, which leads to jealousy from the new Zelda. This Zelda comes from a different timeline from Link and Sheik. Her personality is a touch different. She’s less morose than the last Zelda, being calmer, gentler and more playful and outgoing, but knows when to get serious. She is still a bit of a bookworm though, and always has good advice to give when needed. She tends to be a bit tsundere around Link though, which is a new behavior. Ganondorf is Ganondorf. Not much to say here, except he was tired of being called a carbon copy so he decided to throw some sword based moves into the mix, taking inspiration mainly from watching . only got back into Smash Ultimate because, whereas he was banned from leaving Konami to attend, Venom Snake decided to shave and put in a glass eye to cover as his body double until the Ultimate tournament was over. Big Boss, however, was sworn into silence because he's an *******. The characters that show up as assist trophies where invited to compete as main fighters, but failed their auditions. Waluigi purposly does so. In fact, people have grown to regret being the ones that have to judge his audition. loves to entertain people with tales of his adventures... although they tend to get a bit too scary for the kids. once referred to and and "the Super Karate brothers" and the nickname stuck. Among the Assist Trophies, Tiki and Alucard are very close friends. They share a lot of things in common with each other. Both have incredibly extended lifespans due to being a Manakete and a Dhampir, respectively, and also put themselves into sleeping periods that can last for centuries. They both can take non-humanoid forms, as well. Alucard originally helped Trevor, Sypha, and Grant before going into a several hundred year hibernation, only to then help Richter and Maria. Tiki became very close to Marth and Caeda, but after outliving them, she helped out Chrom, Robin, and Lucina two thousand years later. They both reminisce about their older days, as they're some of the only beings present who can relate to each other's struggles. The Daughter of Naga and the Son of Dracula. Borderline immortality isn't so bad if you have someone to share it with. Earth - Dharkon’s tendrils look a lot like tree branches. She also seems constantly “rooted” and the tips look like roots. Her eye can also be interpreted as a seed. Her goal is to grow her reach and corrupt everything, like an all consuming plant. The Sacred Realm has lots of trees and forests. There are patches of desolate earth everywhere. Most of the fighters here are better ground fighters, including Richter and Chrom (some are better suited for the air like Sonic, Daisy and Cloud. heh...get it? CLOUD?...ok I’ll stop). Some spirit battles in the World of Dark have earthquakes.